It's not everyday that you get the opportunity to see how a top fashion stylist operates in her natural habitat - which, in this case, happens to be a store full of eye-catching designer clothes. 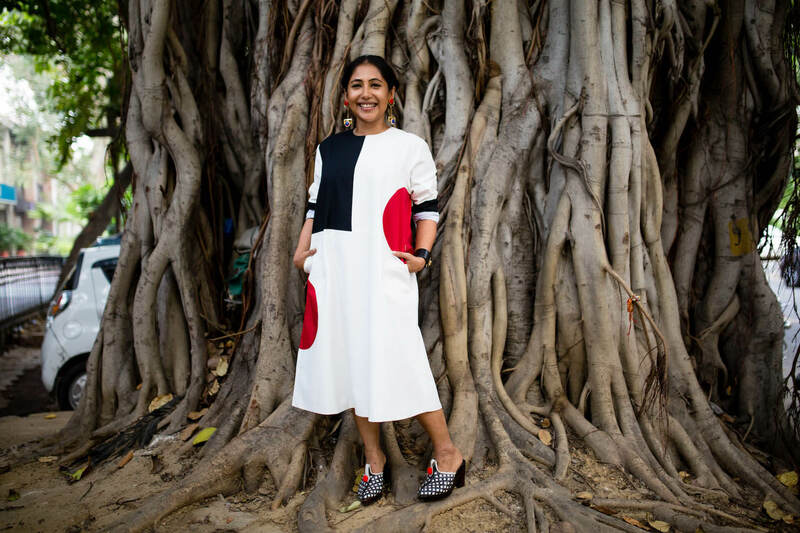 Elle India’s Fashion Director Malini Banerji is like a ninja in pursuit. She scans through the merchandise quickly, picking out individual pieces and also simultaneously creating looks. In 10 minutes flat, she has rounded up 5-6 outfit options in her dressing room for the three shots we plan to shoot. She discards few pieces on the basis of fit or length and we have our final three ready for the shot. This brings us to hair and makeup. Her instructions to the makeup artist are clear and concise - basic concealing, a touch of bronze, her go-to winged eyeliner and absolutely no lipstick. With hair she’s okay with experimenting but we insist she shows us how she braids her hair into her trademark up-do. Half an hour later, we’re shooting on the streets of Malcha Marg. I have a lot of Bodice in my wardrobe. I really like Ruchika's sensibility. I like that her clothes are minimal but not plain. That have a really strong signature and are easy to wear. I know that I can easily pick a bunch of things from the Bodice rack and they'll fit well, the quality is great and its uncomplicated to wear or style. I don't believe in keeping things in my wardrobe for special occasions. Everyday is special for me and I like clothes that are perfect for any occasion. I wore this dress with some happy bright shoes and my Marni earrings and a bunch of cuffs. 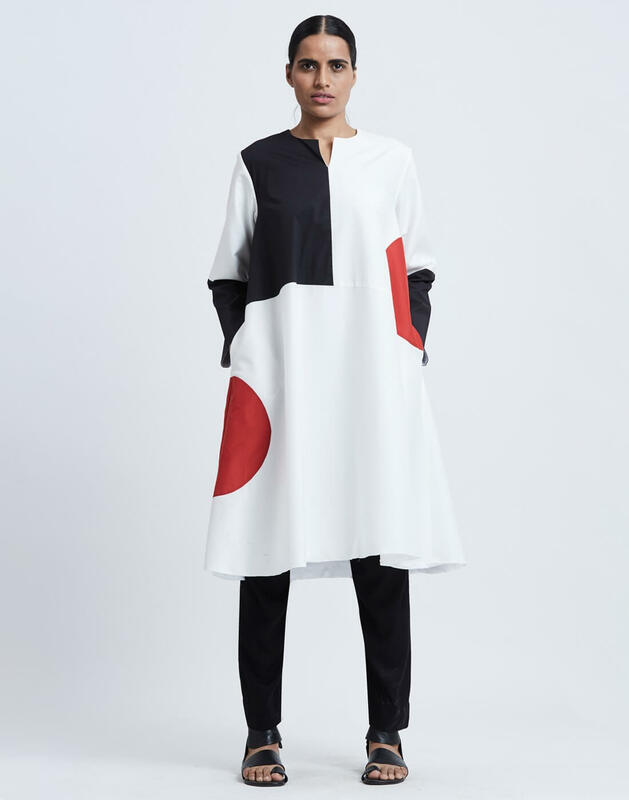 I love the graphic look of this dress. It looks like a painting canvas to me. I bet this dress would look just as lovely framed on a wall. 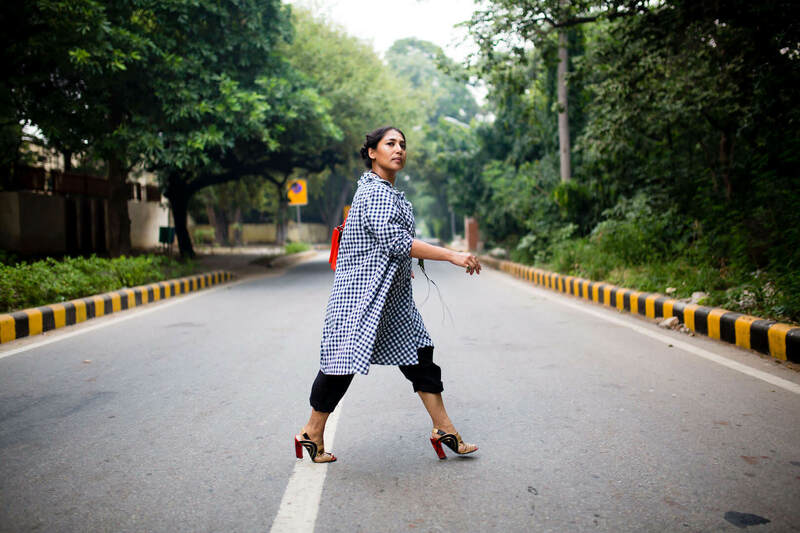 I was lucky that I was carrying my Abraham & Thakore shoes that I wear all the time and refuse to give up on even after they’ve flatlined a few times. The grid pattern and colours on the shoes went perfectly with the dress and the earrings matched too. It all serendipitously came together. I really like The Bungalow aesthetic though I don't own any of their pieces yet. This shoot was a good medium for me to experiment with things I haven't tried before. Their clothes are so beautiful in their simplicity. Since the dress wasn't the right length for me, I added some rolled up pants to play with proportions. Ogaan: How would you describe your style? 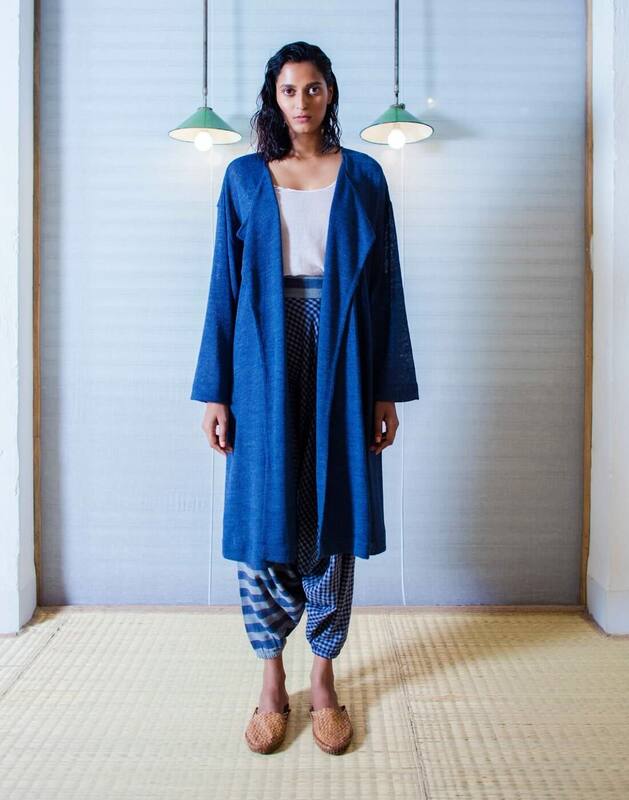 Malini: Quirky, eclectic, detail-oriented and playful. For me fashion isn't regimental. It it fun. Even if I were to wear a basic white shirt, I’d think to myself, "How can I make it fun?" Ogaan: What do you wear on an average day? 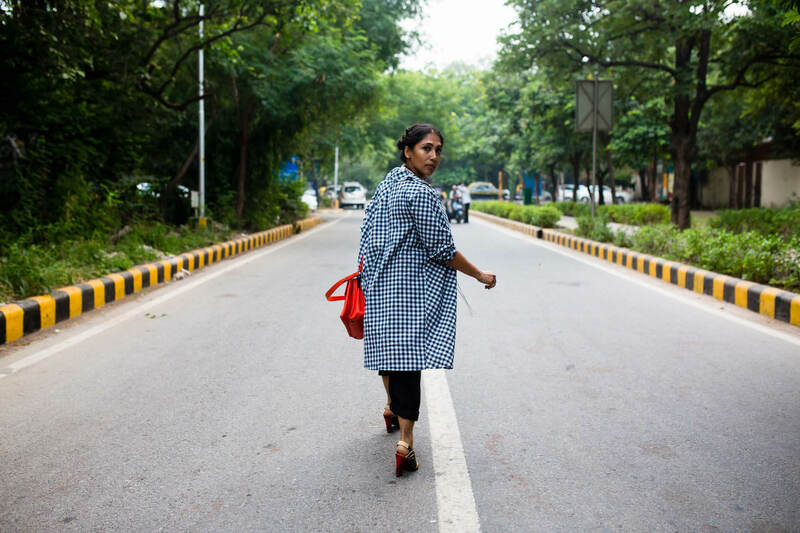 Malini: I realised few years ago that jeans made me lazy. So I’ve vowed to never wear them again. I wanted to make an effort to look beyond comfort-dressing and to play dress-up each day. I haven't bought a pair of jeans since then. I wear dresses, separates, layered jackets or even trousers. Ogaan: What's your shopping strategy? 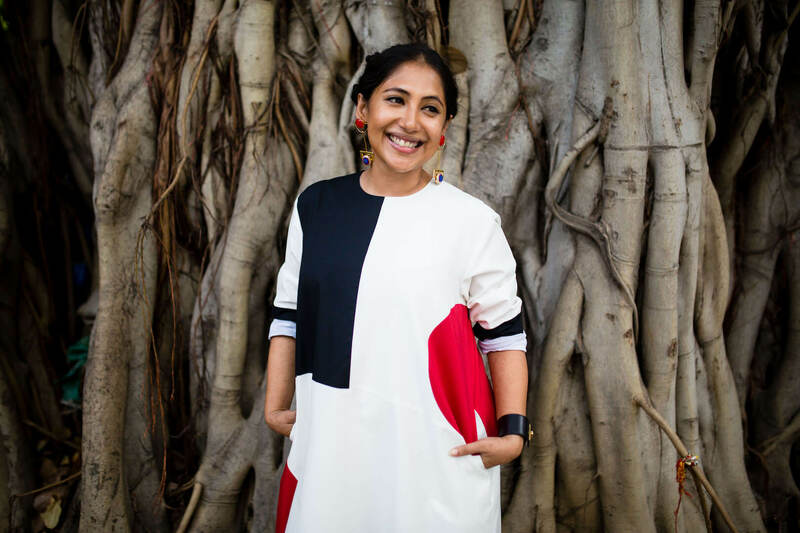 Malini: There was a time when I really enjoyed fast-fashion and looked at trends for guidance. But my years in fashion have taught me to focus instead on building a strong wardrobe. I buy things	that I can see myself wearing a hundred times. In fact, the more expensive a thing is, the more I try to wear it. What’s the point of buying something if it’s just going to sit in your wardrobe? Ogaan: Do you purge often? Malini: Absolutely. Anything I haven't worn in over 6 months has to go. If you don't purge, you’re just left with a ton of junk in your wardrobe and can’t even reach the good things hiding under it all. I detest hoarding. Ogaan: Is your work also inspired by your personal style? Malini: All your creative processes are an extension of you. But I wouldn't think that each shoot is a replica of me. I‘ve figured out a little process for all my shoots now. I ask myself, "What music	would she listen to? What is she dressing for? What kind of clothes does she like?” I make a little story in my head before I start planning wardrobe.